Old-fashioned service on the new frontier. Be advised that this is not a directory submission program nor a blog links program nor any sort of links farm. Almost all our program partners are running businesses or services and the sites in the program do not exist for the purpose of passing on PR. They are legitimate businesses including many lawyers, agents, tradespeople, etc. Most directories and blogs are spam one-way links programs that have been penalized by the engines because they exist only to transfer PR. Simply, they are not legitimate. There are only about 10 or so PR-worthy legitimate directories (Yahoo, Dmoz, Hotfrog, etc.). All our links come from legitimate hard-working websites that exist to conduct business not to provide spam links – legitimate businesses vouching for the credibility of other legitimate businesses via membership in our program. Welcome to the Internet’s original one way links program. 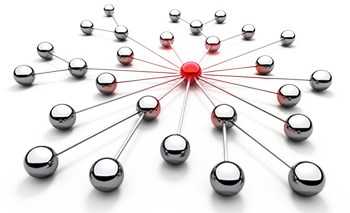 The One-Way Links Program is a link building service from Ken Sproul, an SEO since 1998. The member base of the program is comprised of Mr. Sproul’s SEO clients and new members who join through the provisions of this website. Building link popularity these days is not easy given the recent trend to penalize self-serving blog networks, spam directories, article-writing campaigns, reciprocal linking programs, etc. But you can still increase your link popularity by joining the Internet’s original one way links program. All the web sites included in this campaign are legitimate, hard-working businesses working to improve their link popularity at Google and the other engines. Overwhelmingly our links are business-to-business links, pretty much the best sort of links you can have. “Old-fashioned service? I’m old enough to remember when they used to deliver milk right to your door.That was back in the mid-1950s. The thick glass bottle usually had a thick plug of cream at the top and on Friday my mom always got Vico — chocolate milk! That was real service back then and I pledge to serve you by providing you with legitimate one-way links from hard-working web sites many of whom have been clients of mine for as long as 10 years, many with PR4 or better.” – Ken Sproul . Program subscribers are divided into three pods (A, B, C). The pods are balanced for site themes (e.g. travel sites, law sites, manufacturing sites, etc.). Members in Pod A provide links to members in Pod B. Members in Pod B provides the same to each member of Pod C. Each member of Pod C provides the same to each member of Pod A. Eureka! One-way links! The number of websites in each pod depends on the total subscriber base. That will vary and tend to increase. Presently there are about 450 member websites. 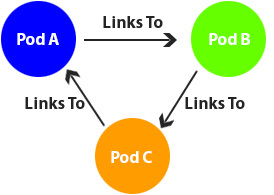 That means about 150 non-reciprocal links pointing to the partners in each Pod and improving their link popularity. That is a lot of one-way links, all legitimate, real working websites. Further, throughout the membership year, as new subscribers sign on, they will be added to the program and further help you in building link popularity. Thanks so much for your services. This year is projected to be the best yet thanks to you. Your service is fabulous and I really appreciate the insightful information you send along, and navigating us all through the broad scale seo google algorithms! –have a fabulous day Ken! In Chinese Daoist philosophy, birth is the coming together of Yin and Yang (opposites that arise together and depend upon one another); death is the dispersal of Yin and Yang. Health is the balance between Yin and Yang and illness an imbalance between the two. One example of Yang is strength. An example of Yin is weakness. Is it better to be strong than weak? Not necessarily. It is better to have a balance between the two. Too much strength is associated with aggressiveness and brittleness. Some weakness is associated with suppleness and flexibility. 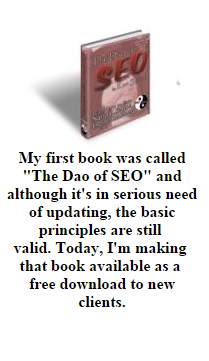 The single biggest mistake web masters make is the mistake of too much Yang. What inspired this harangue? I just came from a competitor’s site boasting about how he’d have 1,000 one way links up for you within 24 hours. Duh!! Spam-linking penalty for sure. Nature is the harmonious balance between Yin and Yang. Is it natural to receive 1000 links in 24 hours? In the real and natural world would 1000 people discover your site and all put up a link to you in 24 hours? The engines are smart enough to know that is not natural and they simply penalize those links as being artificial and unnatural. Don’t be too aggressive; don’t be too strong. Appreciate the balance between Yin and Yang. In our program you will receive the links naturally over the course of several months. All comes to he who is patient. Most of my link building clients are also optimization clients so I can’t just take the money and run. I have long term relationships with these folks some since 1998 for SEO and since 2004 for link popularity. We talk about site issues several times a year and I have to offer them a links service that actually works. One with accountability! Link popularity is an off-site method for promoting website rankings. It is determined by the number and quality of external incoming links to your site. External incoming links are links on other sites that point to yours. Search engines consider link popularity important because they see links from other sites to yours as a kind of recommendation or guarantee of the worth of your site. Link popularity arose as a ranking factor because so many people used spamming techniques to position their site higher in the rankings. Engines started to use link popularity as a means of dampening that impact. Assigning a link popularity value to a website based on number of incoming quality links pointing to it was deemed an effective way to determine whether a site had useful content or not because if other people think it does, then surely it must. Of course, this has not stopped people from finding ways to artificially inflate their link popularity to exploit this search engine ranking factor. And, the engines have endeavored to dampen the impact of such spam linking by changes to their algorithm. In this regard, folks always worry about potential penalties but the reality is that only the most egregious spamming behaviour leads to site-specific penalties. Everything else is dealt with through the algorithm which serves to dampen the effect of any activity bearing a spam signature. Nonetheless, our program reliably takes program partners from PR0 to PR3 or PR4 within the first membership year. The above text mentions that link popularity involves both the number and the quality of inbound links to your site. The term PageRank refers to the quantification of these factors. PageRank or PR is a measure of how important a page is. Note that I said ‘page’, not ‘site’. A page has PR, not a site. Acquiring PageRank is more complicated that just acquiring a quantity of links. The quality of a link has great influence on PageRank. 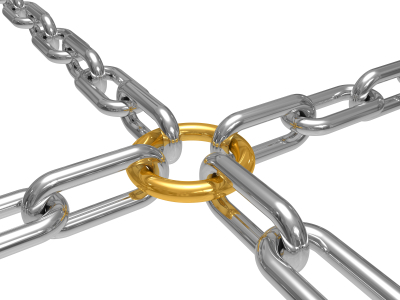 A quality link is a link coming into your site from a site that itself has a good page rank (PR3 or above). In other words, if a popular site links to your site it really helps your popularity. Google has PR10, by the way. But don’t expect them to link to you. PageRank is the ‘second’ part of a two part search engine algorithm. Part one pertains to ‘on the page’ ranking criteria like the title tag, the metatags, keyword position on the page and so on (standard optimization variables). The second part involves off-page factors like link popularity which refers to: 1) the number of relevant inbound links from other sites, 2) where the links come from (i.e. high PageRank pages) and 3) that the Anchor Tag Text contains your keywords (more on this below). Simply put, if all else is equal or near equal, then the page determined to have the best Page Rank will rank higher. By the way, in light of the above reference to quality. PR0 websites also contribute to your PR, just not as much. PR0 is not really PR0; it is a score somewhere between PR0 and PR1. You should never eschew links from PR0 websites because in a few months they might well be PR3. Google is no longer updating the PR toolbar. There were 4 updates in 2011, 3 in 2012, 2 in 2013 and none in 2014. That’s been coming for a long time since it was the invention of the PR tool that literally created the links industry. It was a huge mistake by Google but because it was the invention of co-founder Larry Page (hence PR or Page Rank), Google was reluctant to dismantle it. But allowing folks to see a PR score, even if only a few times each year, literally created the links industry. Real PR is real PR and is updated in real time but it is no longer imported to the toolbar or at least it hasn’t been since December 2013. The good news is that Google would rather discourage link building, by penalizing egregious conduct, and by hiding PR info, and so on, rather than discontinue their reliance on link popularity as an important ranking factor. So, PR is still hugely important even if what you now see on the PR toolbar is 8 months out of date. 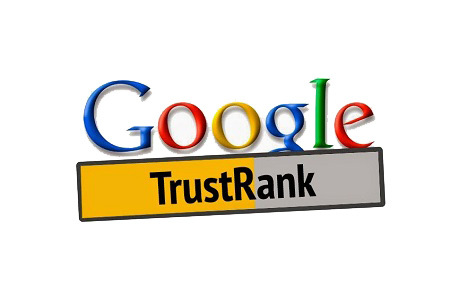 PR is Google trust and it’s probably still the most important form of off-page SEO but there are other forms of trust. Social media is getting a lot of attention these days. My view is that most real businesses don’t have a huge amount of time for social media and even Google has acknowledged that Google+ is still not being used as a measure of trust. But it’s wise to do some social media. 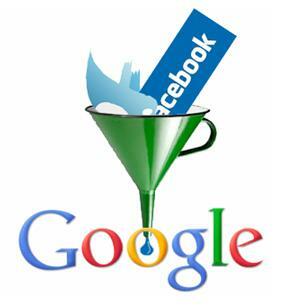 My view is that Linkedin and Google+ are probably going to be the two most important forms of social media. I’m not a big fan of Facebook because historically it’s oriented to “social” relationships rather than business. However, now you see a lot more on “like my business” requests. So, maybe it’s okay. But Linkedin is business from the get-go and they are now slowly introducing a blog service for users. Google+ is more ambiguous but it’s Google so I think you should do something on there too. My clients receive new letters on how to exploit these resources. But do not fake your social media popularity. These services offering 10,000 follows or likes for $10 are ridiculous. Google can spot these and dampen their value just like Google can spot links farms. Don’t be greedy, be smart. One-way links are just that – you receive a link from a website without having to give a link back to that website. One-way links count a lot more than swapping links. They appear to be a truer endorsement of your site, an endorsement that says your site must really be good because there was no quid pro quo (i.e. no reciprocation). Many of you already have the most valuable one-way link on the internet, a listing in the dmoz.org directory (Open Directory Project). The dmoz link provides a highly relevant, on topic, one way link. That is one of the main reasons people pull out their hair over trying to get in there. Another good one is a link from the Yahoo directory but that costs $299. Don’t do that one until you have truly optimized your site as you need to try to influence the editor vetted Yahoo description so that it will benefit your rankings. But regardless, the link is a good one. Most other directories have less value. Please stay away from directory programs that sign you up to thousands of directories. There are only a handful of quality directories and you should submit to those directories by yourself, thoughtfully and carefully. Most directories were created to exploit the one way links phenomenon and they have been penalized simply because they do not exist as sincere, legitimate directories. There was a time when webmasters worked very hard to develop reciprocal links with other sites. The reasoning was that while one-way links were more valuable than reciprocal links, they were almost impossible to get, but you could get some inbound links if you offered a link in return. 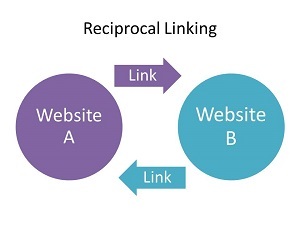 The birth of reciprocal linking. By the way, some companies selling individual text links charge as much as $8-$16 per month for a PR3/4 link and $65 a month for a PR6. When you join our program, you will be pay only our annual membership fee which averages out to just over $1 per link for valuable one-way links. Why so cheap? Well, because our partners are in this to help themselves by helping one another. My fee of $289.00 is just to manage the program. I do not ‘sell’ links. I manage a membership club. Anchor text is the text a site uses to link to your site, basically it is text describing your services or products or why the site is linking to you. Toronto Criminal Lawyer – Criminal law firm in Toronto – Billy Brown. Criminal lawyer representation for domestic assault, impaired driving, sexual assault, theft, fraud, utter threats, mischief, shoplifting, bail hearings and more. You might think that the important text above is the blue hot-linked text, literally the ‘anchor’ text. But Google figured out a long time ago that folks use anchor text to artificially influence their rankings. So the text surrounding the anchor text is equally important. It should validate whatever text is in the anchor. That’s one of the strengths of our program. Partners can include up to about 100 words of supportive descriptive text. Having said this, based on Matt Cutts comments in the Spring 2013, it’s also important to have a balance of natural anchors as well as keyword anchors so many of our anchors will be natural, giving you a “natural” links profile. While most believe that the best links are from sites that are thematically related to your own site, that really only applies to reciprocal linking programs. The best link for the Alaska Fishing Charter business is not the reciprocal link from the bait-cutter down the road but the one-way, non-reciprocal link from the Iowa banker who chartered one of the company’s boats last summer and is now recommending the company via her personal website. Giving weight to thematically related reciprocal links is just the search engine’s way of controlling for spam linking and the thousands of reciprocal links people pick up in order to artificially inflate their link popularity. To NOT count any of them would be to no longer value link popularity in the search engine algorithms. And, of course, some reciprocal links may well be sincere votes of popularity. So, the engines compromised and opted, in the case of reciprocal linking, to give credit for thematically related links. This is not an issue with non-reciprocal linking since non-reciprocal or one way links are perceived to be legitimate by virtue of the simple fact they are not reciprocal. To confirm the above just go to Google and check out the websites credited with linking to this site, One-Way-Links.com. Very few if any would met the test of ‘relevance’. They say, nothing spreads like a lie and that nothing is bigger than something of mythic proportions; ‘relevance’ is a small truth exxaggerated into a myth to suit the needs of certain SEO companies and article writers (associated with those companies). The proof can be found in most any search at Google. Google credits many so called ‘irrelevant’ links because if those links are one-way links, then they ARE relevant. And if those links are from trusted websites, why not count them? Trust is trust. When you check for back-links at Google always remember than Google never shares more than a sampling of credited links.